Overwatch League officially announces eight new teams – AiPT! Blizzard confirms the six new expansion teams. The Overwatch League has officially confirmed six new expansion teams, bringing eight new teams in total to season two. The announcement was made with a video posted to the Overwatch League Twitter. Joining the previously announced teams in Atlanta, Georgia and Guangzhou, China are teams located in Vancouver (Canada), Paris (France), Toronto (Canada), Hangzhou (China), Chengdu (China), and Washington D.C. The addition of eight new teams sits Overwatch League with twenty teams for the upcoming second season. There’s no official word available on the price ownership groups paid for an expansion slot, but ESPN has reported that they range from $35 million to $60 million. As we previously reported, the Aquilini Investment Group-owner of the Canucks Sports & Entertainment, the parent group of the Vancouver Canucks – will operate the Vancouver team. Popular Chinese live-streaming platform Huya, will operate the Chengdu team. Hangzhou, China’s team will be operated by Bilibili, a online entertainment and mobile game company for young people. While Paris, Toronto and D.C. will be all be operated by existing esport organizations – DM Esports, OverActive Media and Washington Esports Ventures, respectively. “We just capped an amazing inaugural Overwatch League season, crowning our first-ever Grand Finals champion in front of a sold-out crowd of dedicated and passionate fans. Now, as we look forward to the 2019 season and beyond, we’re adding eight new teams that will help us grow our league in important regions around the globe. We know that the difference between a good league and a great league is its owners, and we set a high bar for our first season with the caliber of ownership groups. 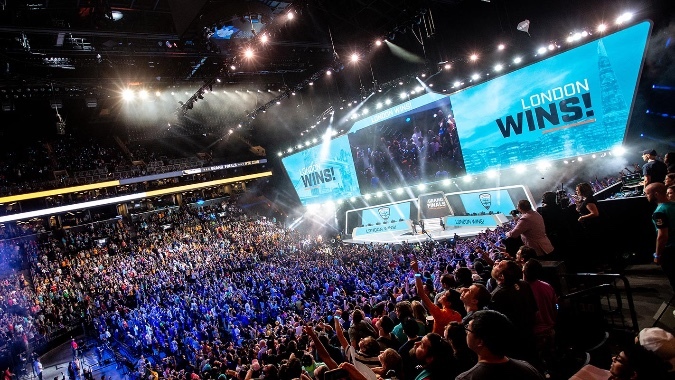 Every one of these expansion franchises cleared that bar and will make our league even better.” said Pete Vlastelica, president and CEO of Activision Blizzard Esports Leagues. There are now 13 North American teams, two European teams and five Asian teams. Two of the north American teams are in Canada and one of the Asian teams is in South Korea, while the rest reside in China. This may lead to the addition of a new division, perhaps Asia-Pacific or North-Atlantic? There’s also a lot of speculation around teams each having a home stadium and hosting matches at those locations on a permanent basis. We’ll just have to wait to find out, as no details on the structure of season two are available just yet. Signing for free agents opens on Sep. 9 for expansion teams exclusively and all teams will be able to sign free agents starting Oct. 8. All teams are required to have a minimum of eight players on their roster by December 8. No date is available at this time for when Overwatch League season 2 will begin.